With over 20 years of experience in sales and marketing, Kara oversees both global channel and OEM marketing efforts at Mellanox. Her prior experience includes educating vendors about the channel while at CRN as well as leading channel marketing at QLogic, Dot Hill Systems, and CTERA. At each company, Kara was responsible for building a running a channel partner program successfully earning a CRN 5-star rating on each. Kara's passion is to see partners succeed, and she works closely with OEMs, authorized Distributors, Solution Providers, Integrators and End-Users to implement tailored programs, promotions, and marketing strategies designed to accelerate top line growth. While developing the Mellanox PartnerFIRST™ program Kara has leveraged her extensive background in global sales, marketing, communications, brand awareness, programs and promotions, sales training and event planning. Under her direction PartnerFIRST has become a robust, partner-centric channel program, earning the CRN 5Star award five years in a row. Her focus has been to provide excellent partner support for Mellanox's diverse set of partners every step of the way, from initial enrollment to achievement of Premier or Elite status. 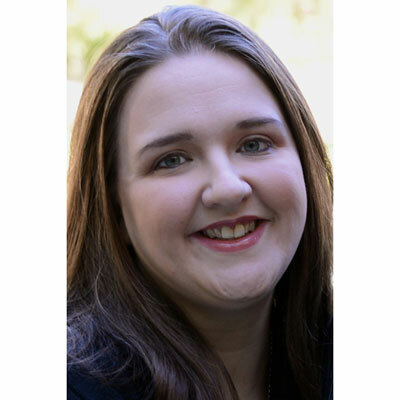 Kara has a BA in Humanities from Pepperdine University and an MBA from Concordia University. In 2017, the Mellanox channel achieved a 30% year over year revenue growth. Kara was instrumental in this growth through heading up several key initiatives. The Mellanox PartnerFIRST program was established over seven years ago, and needed a refresh. Kara completely redesigned the program and launched it in 2017 complete with improved partner profitability, new sales tools, a demo product purchase program, enhanced training and certification, a partner escalation tier helping new partners jumpstart the relationship, and a newly established top tier for loyal and growing partners in the program. The channel marketing team emphasized partner recruitment and partner training, and helped to recruit over 200 new partners worldwide in 2017 and successfully trained over 700 partners in both online and face to face classes. 2017 also brought the Mellanox partner community enhancements to the partner portal including a new opportunity and MDF module. In 2017, Kara worked to facilitate the success of the channel of Mellanox's extensive OEM relationships including HPE, DellEMC, Lenovo and IBM by leveraging the same strategies and tools that have aided in the Mellanox channel success. In 2018, my team at Mellanox will focus on recruiting new Ethernet-focused partners across key verticals such as media/entertainment, oil and gas, finance, and retail. In addition, we plan to dramatically increase our revenue per partner by developing a more comprehensive partner sales effectiveness. Our 2018 channel marketing plan incorporates a regular cadence of partner-ready sales tools, briefs and guides to enable partners to attack key verticals and rapidly growing emerging technologies such as cloud storage and hyper-converged infrastructures. The Mellanox PartnerFIRST partner program was awarded the CRN 5-star rating, and being a woman in the channel, I am proud that the efforts I put into the program allows partners to maximize their profitability and success with our products. I admire the principal of my children's school, because she is a women who leads with both strength and vulnerability. She displays caring while being firm, and above all places the kids future into her hands each and every day with a smile and the knowledge that what she does matters, even if her paycheck doesn't reflect those efforts the way it should. I would probably tell my 16 year old self that the failures of youth are what makes you a more strong and capable adult. Lean into the times you fail, learn from those mistakes, and always give 100% and then you can't look back and say you didn't give it your all. I would like to be more fluent with the Adobe creative suite, as sometimes I have a vision for how something should look graphically but cannot communicate it to the graphics team in a succient way. Having this skill would allow me to know better how to describe what I am looking to accomplish with marketing design needs. Books are my escape, and I love diving into historical themed novels and thrillers. But the best book I read last year was Lean In by Sheryl Sandberg. I found the book extremely enlightening and encouraging as being a working mom and wife. Sheryl talks in a very real way about how we as women can have careers and balance that with our desires for a good home life without sacrificing.